The rent really is too damn high—everywhere. This week, workers and activists celebrated the Los Angeles City Council’s decision to phase in a minimum wage hike, from $9 to $15, over the next five years. It’s a victory for folks who have campaigned long and hard to ensure that workers are paid enough to afford the basics: food, transportation, and housing. But that $6 salary boost still won’t be enable renters to afford a fair-market-rate one- or two-bedroom apartment (don’t forget, plenty of minimum-wage workers are parents) in the City of Angels. According to the latest report from the National Low Income Housing Coalition, someone living in the Los Angeles–Long Beach metro area would have to earn a whopping $27.38 per hour to afford a fair-market-rate two-bedroom apartment. And, according to the coalition’s number crunching, this kind of affordability gap is true for residents of every other city that has hiked its local minimum wage in recent years. The report’s authors calculated the gap between what people earn and what an apartment costs to create what they call the “housing wage.” That’s simply an estimate of the amount of cash a full-time minimum-wage worker would have to take home in order to be able to afford an apartment at HUD’s estimate of fair market rent in the area. The fair market rate is how much an apartment would cost if it were currently on the market. The housing wage also factors in that a person shouldn’t spend more than 30 percent of their salary on a place to live. Why You Should Care: The problem is likely to get worse before it gets better—rents for apartments have risen nationally for 23 straight quarters. Meanwhile, job growth between 2010 and 2020 is expected to primarily be in low-wage occupations—think fast-food servers, retail workers, and home health aides. Some people who can’t afford housing end up homeless, sleeping on relatives’ couches, in motels, or in their cars. Still others move in with several roomates. (Downstairs from this reporter, three adults are sharing a one-bedroom apartment on one side of the hallway, and four people are sharing a two-bedroom on the other.) History—even recent history—suggests that there's a limit to what people will put up with before social unrest ensues. The federal minimum wage is $7.25 per hour, but the NLIHC found that there is not a single state where someone earning that salary can afford a fair-market-rate one- or two-bedroom apartment. A renter would have to earn $15.50 per hour to afford a one-bedroom and $19.35 to be able to call a two-bedroom home in most places in America. Currently, 29 states and Washington, D.C., have enacted minimum wages above the federal minimum wage, but thanks to the skyrocketing cost of housing, renters are still struggling. Where are people hurting the most? Los Angeles’ first increase won’t take effect until July 1, 2016, so it’s not included in this list. But here are 10 cities where, as of May 1, minimum-wage workers have received a boost but still have trouble affording apartments. 10. Albuquerque, New Mexico: Wages in the Southwestern city jumped to $8.75 on January 1, 16 percent higher than the state minimum wage of $7.50. But a worker must earn $13.12 per hour to afford a one-bedroom apartment and $16.08 to afford a two-bedroom. 9. Bernalillo County, New Mexico: Halfway between Albuquerque and Santa Fe, this county raised its minimum wage to $8.65 per hour on January 26. A worker needs $13.12 per hour to afford a one-bedroom apartment in the county and $16.08 per hour to afford a two-bedroom place. 8. Santa Fe, New Mexico: The minimum wage in Santa Fe jumped to $10.84 per hour on March 1. But to afford a one- or two-bedroom apartment there, you’d have to earn $13.12 or $16.08 per hour, respectively. 7. SeaTac, Washington: Similar to Los Angeles, a $15 minimum wage hike in this Seattle suburb is being phased in gradually. Workers there currently earn $11 per hour, which is more than the $9.47 minimum-wage workers elsewhere in the state take home. But a one-bedroom apartment requires a salary of $22.12 per hour, and a two-bedroom apartment would require folks to be paid $27.21 per hour. 6. Prince George’s County and Montgomery County, Maryland (tie): The minimum wage across these D.C.-adjacent counties jumped to $8.40 per hour on October 1, 2014. It’s more than the $8 minimum-wage workers in other parts of Maryland earn, but it’s still not enough to afford rental housing. A worker would have to earn $23.65 per hour to afford a one-bedroom apartment and $28.04 for a two-bedroom apartment. 4. Oakland, California: As of March 2, workers in Oakland take home a minimum wage of $12.25 per hour, higher than California’s state minimum wage of $9. They’d need to be taking home $24.23 per hour to afford a one-bedroom apartment and $30.48 to afford two bedrooms. 3. Richmond, California: On January 1, this Bay Area city raised its minimum wage to $9.60 per hour. But a worker would have to earn $24.23 per hour to afford a one-bedroom apartment and $30.48 to afford a two-bedroom apartment. 2. San Jose, California: The minimum wage in San Jose jumped to $10.30 on January 1. 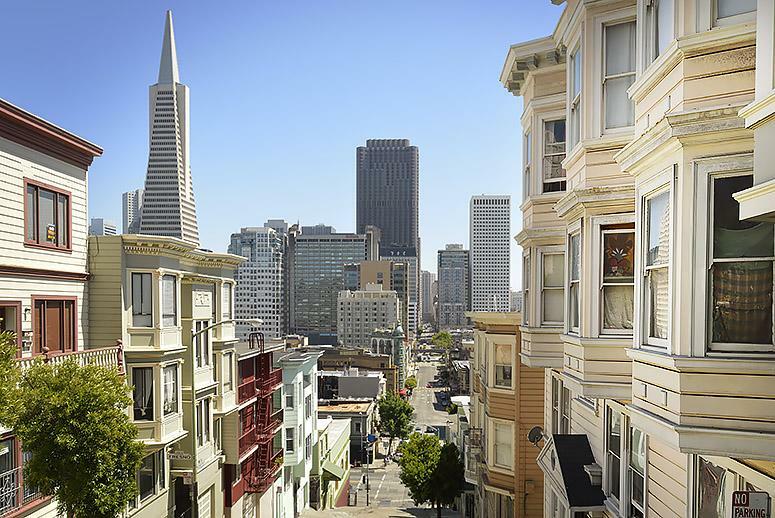 However, to be able to afford a one-bedroom in this South San Francisco Bay city requires an hourly wage of $27.29, and a two-bedroom apartment requires $34.79. 1. San Francisco: It’s no secret that living in the shadow of the Golden Gate is expensive, but despite a minimum wage increase of $12.25 per hour that went into effect on May 1, affordable housing is still out of reach for workers. You’d have to earn $31.44 per hour to afford a one-bedroom apartment in the city and $39.65 per hour to afford a two-bedroom spot.